Join us at the lodge so that you too can become “un homme/femme de nor” (a man/woman of the north)! 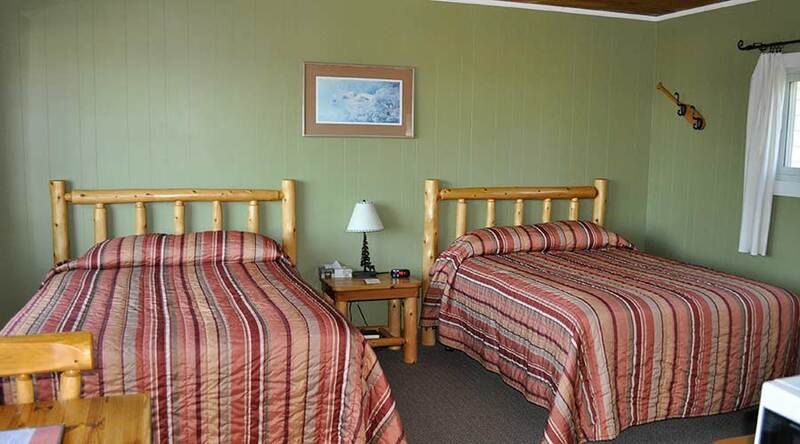 Relax in our cleanly appointed and newly renovated guest rooms. 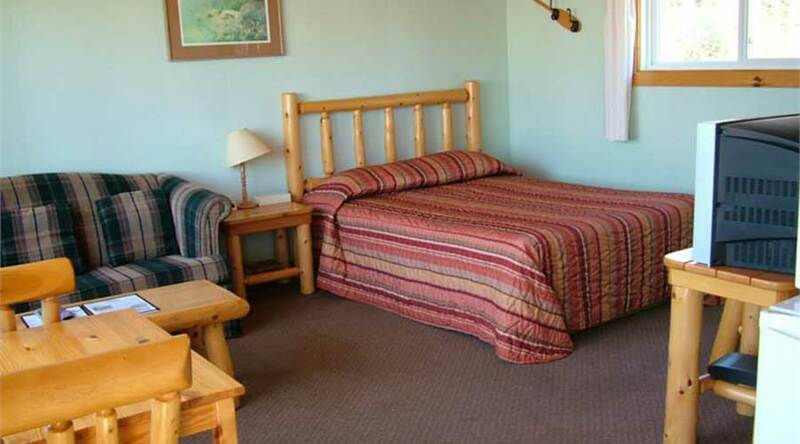 Furnished in log decor, each room is equipped with satellite tv, microwaves, wireless internet, a coffee pot and a mini-fridge. After a long day of playing on the beach or hiking a coastal trail, relax in the comfort of a clean room overlooking Batchawana Bay. Our Housekeeping unit features one queen bed and faces the view of Batchawana Bay. Watch the sunset from the comfort of your room. 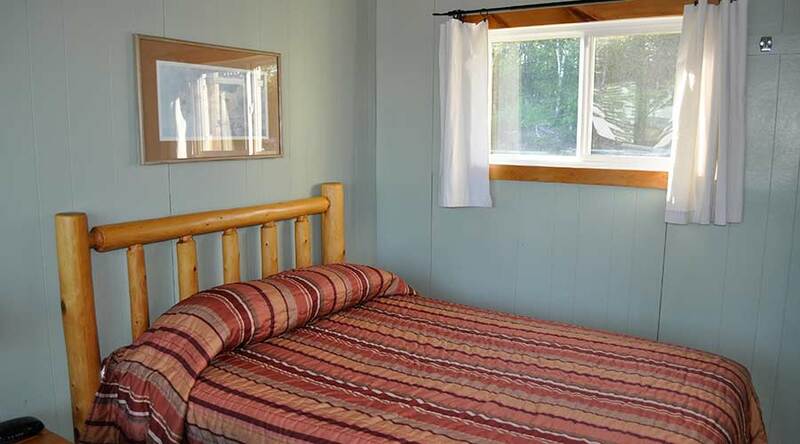 This room offers two double beds and some added privacy as it is set back on the property away from the other lodge units. 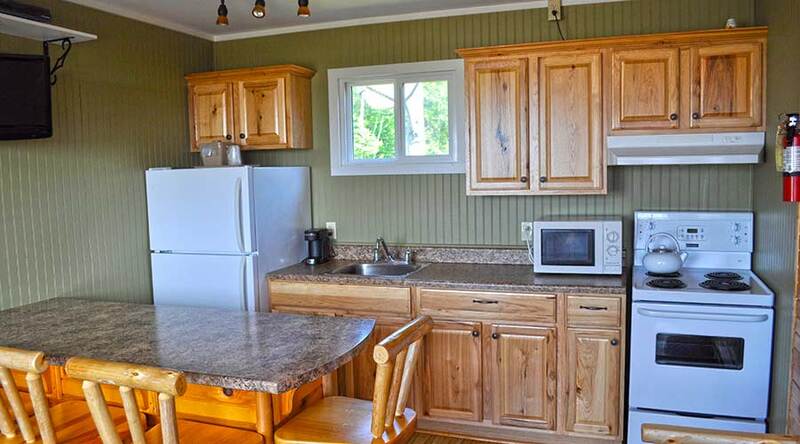 Our one double room faces the view of Batchawana Bay. This is a great room for a relaxing couple getaway. This room features one queen bed, an additional sofa bed and faces the relaxing view of Batchawana Bay.